He is pretty vibrant, don’t you think? Especially against the greenery. If you’d like to join in just publish a post in keeping with the theme and create a pingback to the original post. What a lovely welcome for you, Cathy! He is definitely vibrant, and beautiful. What a fabulous picture, Cathy! 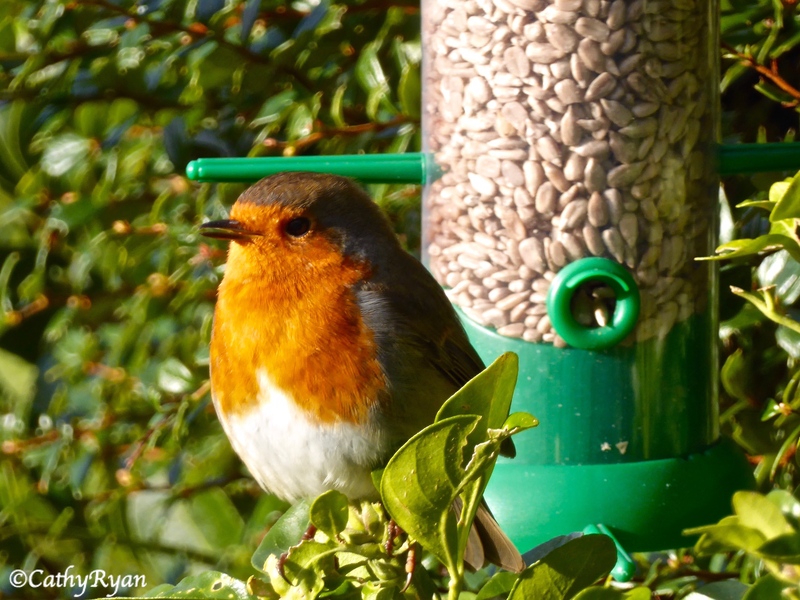 I had a resident Robin in my garden all last winter and most of the year. Sadly, he’s not been around this winter. I miss him. Thanks Ali 🙂 I love seeing birds in the garden and I hope the robin sticks around. Robins are lovely little things. Mine had a mate in the spring. I loved watching them.